Slip on the Born Ottawa for the ultimate in summer comfort and style. 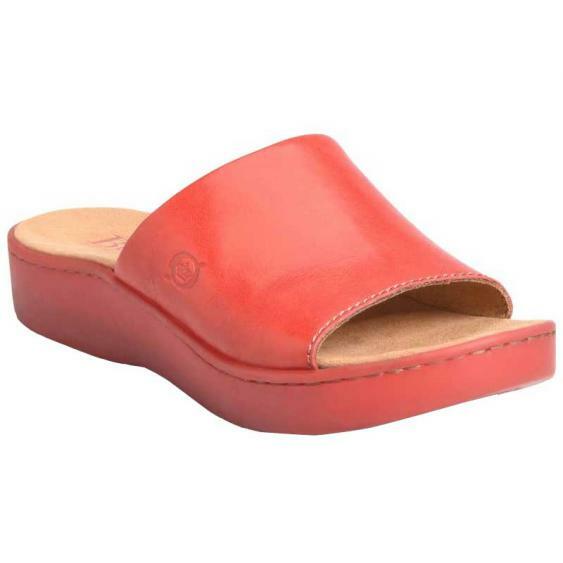 This women’s slide has a single bold strap made of full grain leather with hidden goring. A microfiber lining and microsuede covered footbed offer instant and lasting comfort. Born’s Opanka Construction and the EVA footbed of the Ottawa provide a flexible and lightweight fit. Finished off with a rubber outsole for traction and a slight platform, the Born Ottawa will be the slide of the summer.